We had our 8-month-old son dedicated at church this past Sabbath. At the church we attend (Seventh-Day Adventist), we do a “dedication” in lieu of a baptism, christening or blessing ceremony. At a baby dedication the pastor says a few words and prays with the parents and baby in front of the congregation. The parents are making a public commitment to raise the baby in a Christian home. They are committing to teach the child about the Bible and help the child to develop a relationship with Jesus. 1. 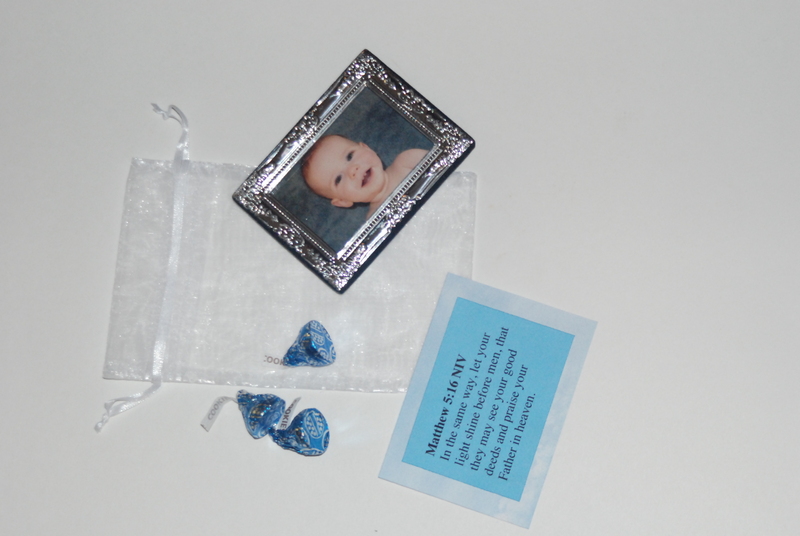 Take a photo of the baby and get it printed in wallet sizes then put them into the frames. 2. 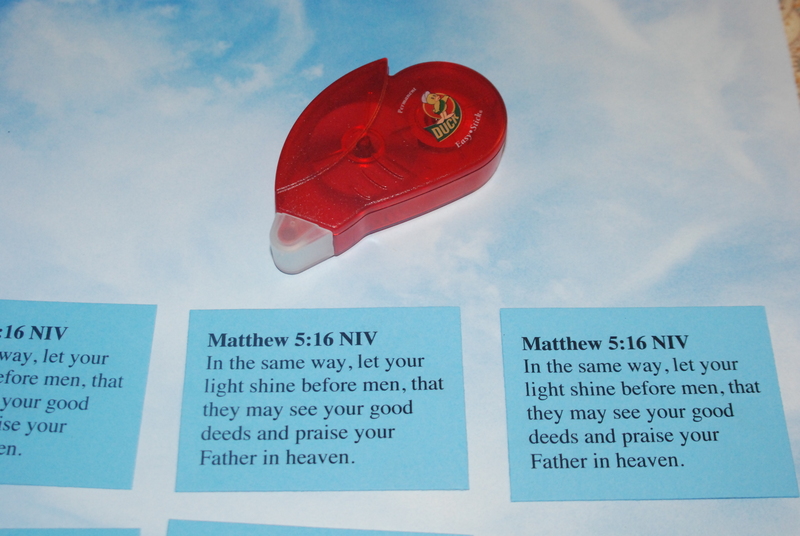 Print a Bible verse on colored card stock. I printed 8 verses on one 8.5 x 11 sheet of blue card stock. 3. 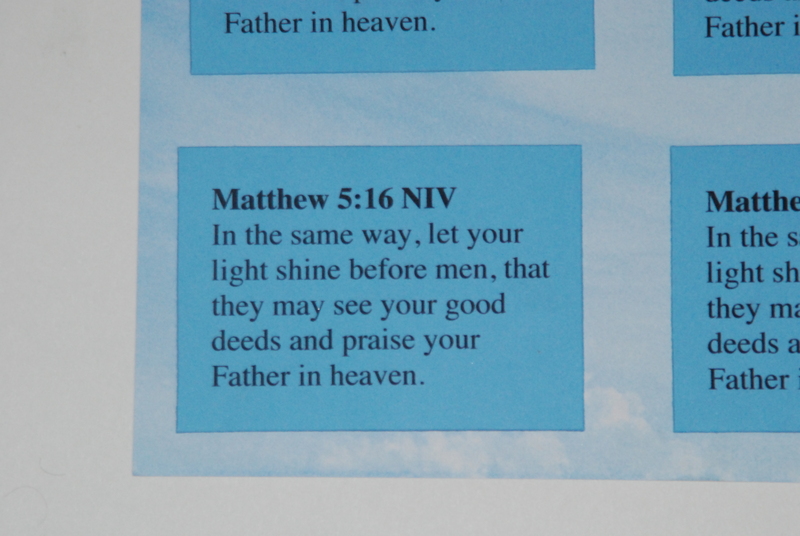 Attach Bible verse cards to patterned card stock. I used a 12 x 12 sheet and cut the rectangles 3 x 4. 4. 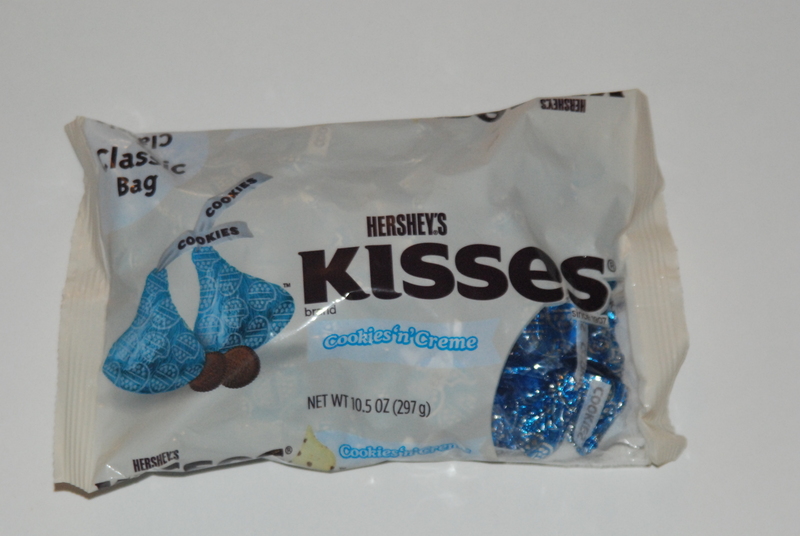 Put the Bible verse cards, framed photos and Hershey’s kisses into the organza bags. 5. 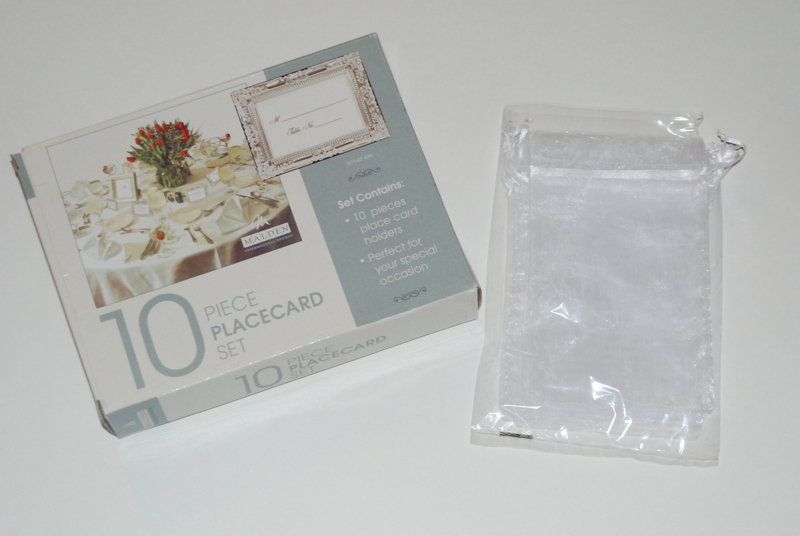 Don’t forget to pass them out when guests leave… otherwise you’ll be making an extra trip to the Post Office to mail them out to everyone like I did!